But not simply St. Louis. Ferguson is not just a neighborhood in a sprawling city, as Watts is to Los Angeles or Flatbush to New York. This is attested to by the involvement of the Ferguson Police Department and County police forces in suppressing the recent riots, rather than the St. Louis PD, at least prior to being taken over by the state on August 14th. The militarized police on the streets of the small city have not been drawn from the familiar standing armies, such as the NYPD or LAPD, but are instead a conglomeration of armed groups organized at the county level to manage those zones that lie beyond the reach of the traditional urban police departments. 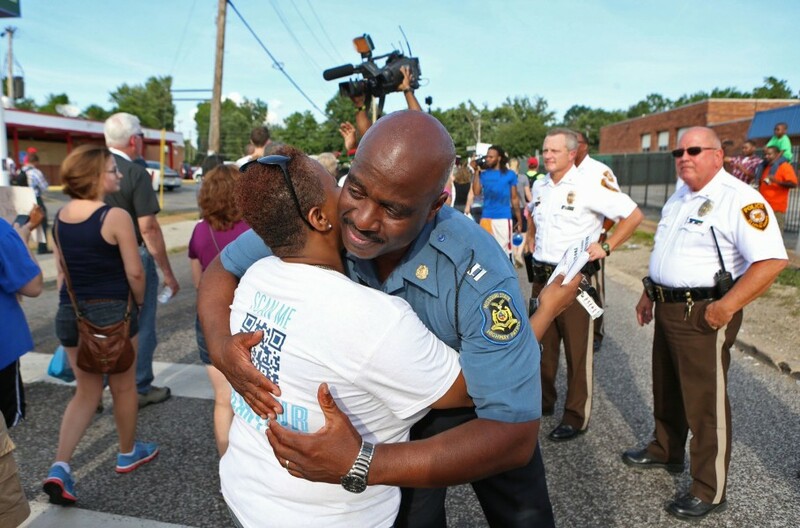 Aside from its own police, Ferguson has its own fire department and its own school district. This is because it is not an urban neighborhood, but instead a fairly traditional post-war American suburb, independently incorporated as its own city. 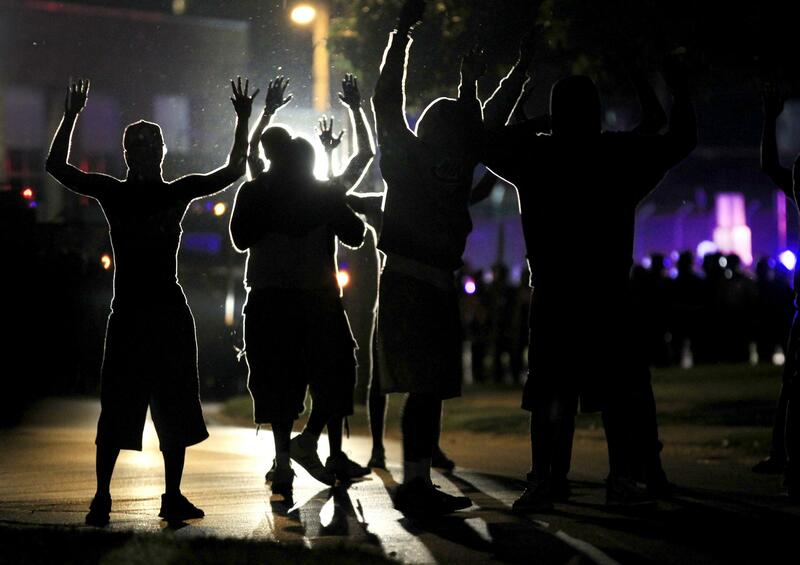 Police killings have sparked outrage and limited riots in many cities in the US in recent memory. But none of these events have been able to take on this same character, and none have been this difficult to suppress. An urban counterpart to events in Ferguson was the 2013 Flatbush riots in New York. These riots, similarly sparked by a police murder, were crushed much faster than the riots in Ferguson, despite the fact that they seem to have attracted larger protests and garnered greater immediate and active support from the surrounding neighborhood. So what accounts for the difference? 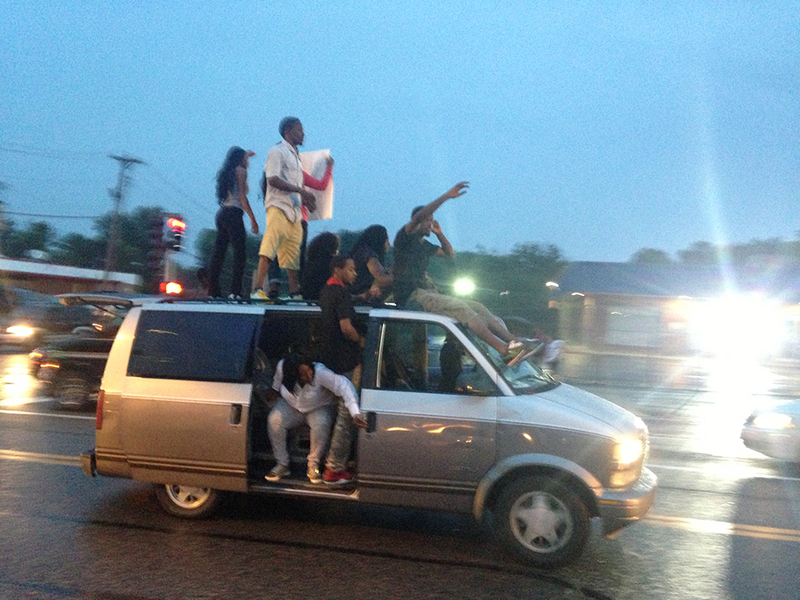 Why did Flatbush not create the type of national atmosphere that Ferguson has? Cars give protestors a mobility not seen in urban riots. Nicely summarized and presented above. no, this is not goin to be nice. media talkin about the militarization of he cops are missin the point. the US of A is hurting big time, and this will never heal until there is a massive re-distribution of wealth and respect…. not so different than what is needed in Gaza. it is time for those in power to put down the arms and show respect for the community members, who given support will know how to help neighborhoods flourish. And here we are praising the glorious, nostalgic 1960s! The point above is not that ghettos sort of just spring up out of nowhere. A group of disadvantaged residents within a city tend to be segregated purposely. This barrier, in countless American (even a few Canadian cities), is the federally funded Interstate Highway System. The American city has a unique experience with transportation. An abundance of land that once immediately surrounded cities became attractive during the Roaring 20s with the ramping up of industrial output, which ironically spelled the downfall of some of America’s greatest cities. One such great city is St. Louis, Missouri. In the 1950 Census, St. Louis’ population boasted nearly one million inhabitants within its city limits. Yet a rapidly diversifying economy changed all that within the period of twenty years. 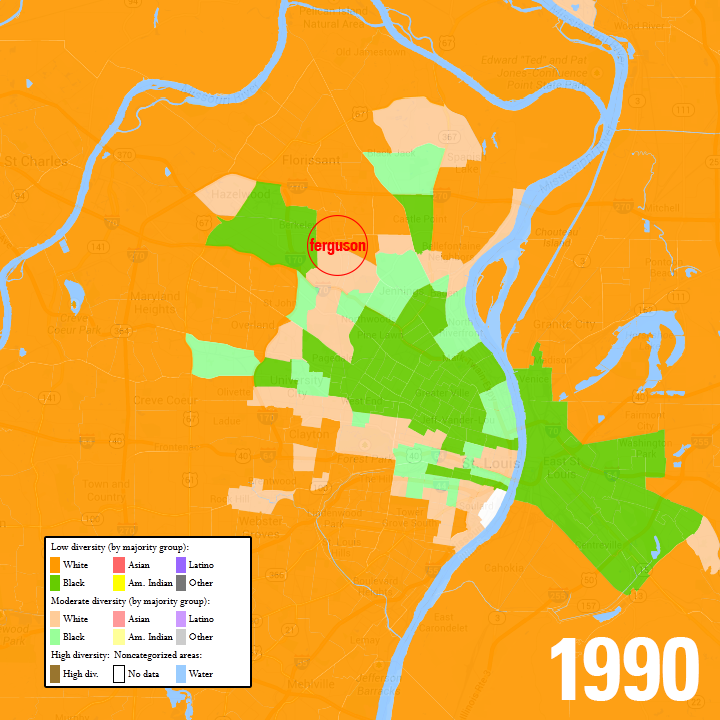 By 1970, St. Louis had become a literal shell of its former self. The city’s wealthy had fled to outlying “cities” such as Mark Twain and Holly Hills. 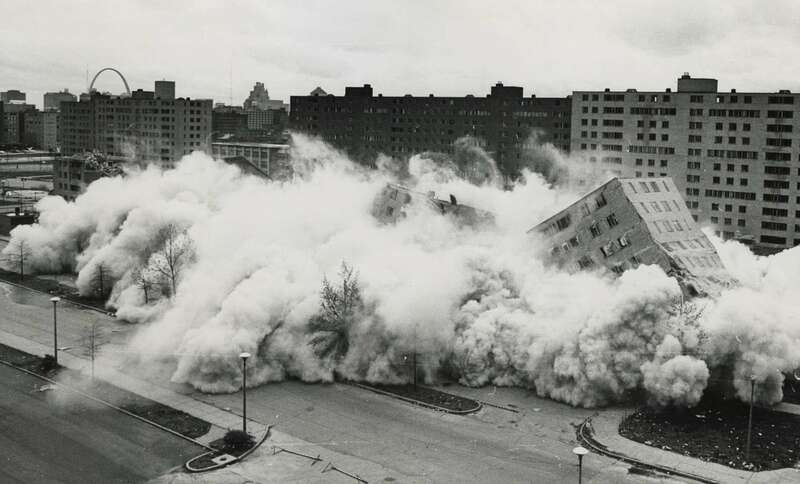 As a result, the tax base of St. Louis crumbled. A city whose infrastructure once supported one million people could not cope with the hollowing out of a once grand, industrial powerhouse. The majority of the city’s well-to-do moved further south. And north. 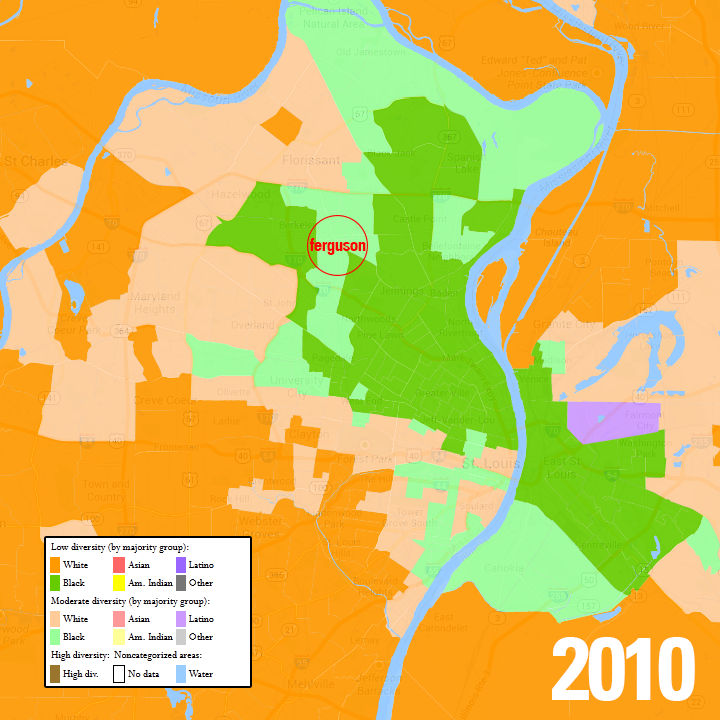 Eventually, the new population of St. Louis began to cope with its altered geography. No longer is there a centralized city. Instead, St. Louis is a fragmented, uneven city whose services are thinly spread. For the elites of St. Louis, these services are fine. For those on the perimeter, these services are unacceptable. I believe if cities with similar profiles to St. Louis, such as Detroit and Houston, are to become truly great cities in the 21st century, urban policy must place taxpaying citizens over powerful, corporate interests (which are in control of what is called “greenfield development”) that places little value on liveability and more value on cheap, auto-centric “satellite cities” (suburbs), whose education, health, and economic health is equal to those of former Soviet Republics. The real war isn’t against the city. The real war is on the promised “cities of tomorrow” : the suburbs. As long there is excessive generalization used to explain and address details of the socio-political and economic problems in the U.S. nothing will be accomplished – just more aggravation, sense of helplessness and inability to act as united people. Wealth and respect redistribution does not need to function as a charity because it implies that willingness to give is the only path to justice. There is not much justice in this world and that is because of a capacity to act evil in all of us. Arguing weather black or white people or whoever else is more guilty of evil is senseless: evil is what we all do, if we choose to. Expecting changes is always inferior to focusing on a long-term plan that starts with motivation, education, daily hard work and taking ownership of the solutions. It includes an excellent dialogue between a black South African and a white guy from St.Louis about stuff such as the need to create ongoing links between “historical moments” to develop a material basis for solidarity capable of withstanding the inevitable onslaughts of the forces attacking us. As for Grace’s ” it is time for those in power to put down the arms and show respect for the community members, who given support will know how to help neighborhoods flourish.” – this is the kind of naive illusion thatavoids asking anything essential – e.g. how to improve the relatively weak attacks on the mass murderers that ruin the lives of the vast majority of those on the planet. I know that some Ultras were on the ground for a minute. What are y’all’s thoughts about the possibility of this particular theater of struggle moving forward? With the more established left moving in (Cornel West earned his paycheck yet again) to mediate the contradictions, I’m wondering whether you think we’ve more or less seen the last of the action, or if these first waves are opening up a sense of strength (and tactical skillsets) to raise hell in the future?